It is summer time and the weather is high, gonna reach right up and touch the sky..... I wish, still dreaming of summer here on the west coast. These photos are from beachy days last year and they were just the right fit for the Core'dinations color challenge. I hope you will join me in creating with this wonderful palette and check out what else the Core'dinations Design team has come up with!! 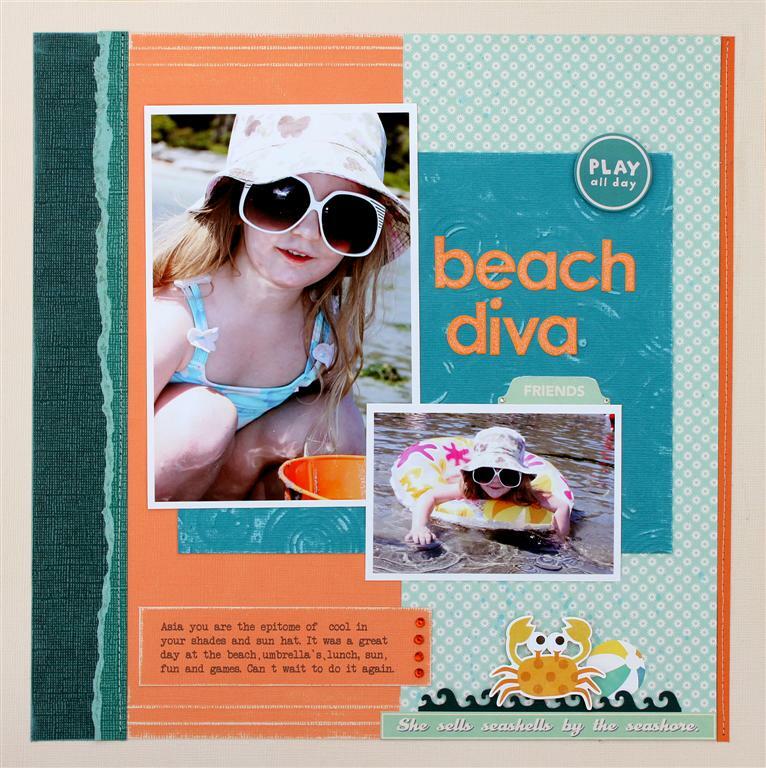 oooo that little crab is so cute Lydia, love the simple design which lets the photos shine! Such a cute layout, the colors are absolutely wonderful!! That inspo photo is too awesome! Cute layout!! Love the little crab and the page title!